What sign-up offers could you get from lenders as a First Home Buyer? Canstar lists the latest first home buyer home loan sales. 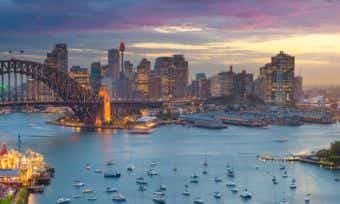 The last few years have seen Sydney’s property market receive plenty of attention, so we wouldn’t blame you for wanting a piece of the action! 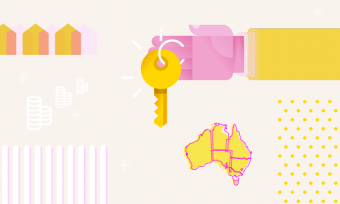 We’ve put together this guide with information you may want to know if you’re looking for a home loan in Sydney. What is a first home buyer home loan? There are many different types of home loans based on the borrower type (first home buyer, construction loan, owner occupier, property investment, refinancing, or interest only) and the interest rate type (variable rate, fixed rate, split rate). Find out which loan type is most suitable for first home buyers. A home loan is secured against your property, so if you are unable to continue paying the loan, the lender may ultimately require you to sell the property to settle the debt. Learn more about how home loans work here. What should first home buyers look for in a home loan? First home buyers should be looking for a combination of competitive pricing (low interest rates and fees) and the features that will make their loan suit their budget. With CANSTAR’s expert star ratings of home loans and Choosing A Home Loan Checklist, you have all you need to compare home loans. 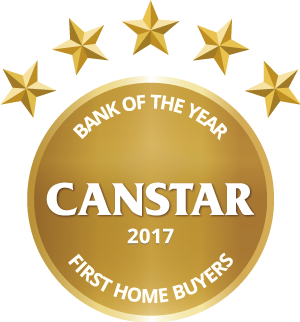 CANSTAR currently compares and rates hundreds of approximately more than 400 home loans available for first home buyers in Australia, to provide you with certainty and confidence when you compare mortgages and interest rates. Home loan interest rates can vary significantly between home loan providers. 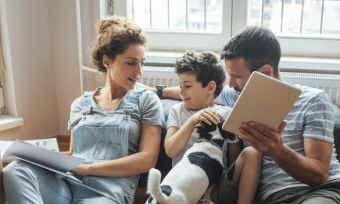 Because home loans are a long-term debt, even small differences in interest rates can make a big difference to the total amount you will pay on your loan over its lifetime. Check what home loans fees apply to your loan and how much the average home loan costs over time. Use our Mortgage Calculator to help you work out what your interest rate will cost you, both in monthly repayments and over the life of the loan. For our First Home Buyers Award, CANSTAR cherry-picks the features of utmost importance to first home buyers and evaluates how lenders match up in their offerings. Follow our Choosing A Home Loan Checklist to make sure you’ve considered all factors when comparing home loans. We summarise the features that CANSTAR researches and rates in an outstanding value home loan in the Methodology attached to our First Home Buyers Home Loans Award report. You can compare first home buyers using the comparison selector tool at the top of this page. Please note that these are a general explanation of the meaning of terms used in relation to home loans or mortgages. Annual percentage rate (APR): This is the total charge for the loan including fees and interest expressed as a percentage, which allows you to compare across the market. Comparison rate: An interest rate figure that represents the total annual cost of the loan, including the annual interest rate, monthly repayments, and most ongoing and upfront fees and charges. On the Canstar website, all comparison rates for home loans are based on a $150,000 loan over 25 years (read the comparison rate warning). Learn about comparison rates. Credit rating (credit score): An assessment of the credit-worthiness of individual borrowers, based on their borrowing and repayment history (credit report). Lenders consider your credit rating when deciding whether or not to give you a loan, how much to loan you, and what interest rate you will pay. Check your credit rating. First Home Owner Grant (FHOG): A government grant given to first home buyers. Learn what first home owner grants are available in your state or territory. Fixed rate: A fixed rate home loan allows a borrower to lock in an interest rate for a particular period of time, typically from 1 year up to 5 years. The interest rate that the borrow pays will remain the same for that amount of time, regardless of changes in the RBA cash rate. Learn about fixed rate home loans. Guarantor: If someone “goes guarantor” on your loan, it means that they are promising (“guaranteeing”) that they will be liable for the loan if repayments are not made. The guarantor also means they must be able to demonstrate their own capacity to repay your loan. Learn about guarantors on home loans. Introductory rate or honeymoon rate: An introductory rate offered to entice borrowers with a low advertised rate for the first few months of the loan. After the honeymoon period, the loan reverts to the Standard Variable Rate offered by the lender. Learn about honeymoon rates. Lenders Mortgage Insurance (LMI): Insurance that the loaning institution takes out in case of default from the borrower, which the borrower must pay for. Usually applies to home loans with a higher LVR (more than 80%). Learn about LMI and how to avoid it. LVR (Loan to Value Ratio): This is the maximum proportion of the value of your home that can be loaned out to you. For example, a bank may approve your loan for 80% of the property value, in which you must pay the remaining 20% as your deposit. Find out how LVR affects your interest rate and LMI. Stamp duty: The state or territory government’s tax calculated on the borrower’s loan amount. Calculate your stamp duty with our calculator. Negative gearing: When the income from an investment property is not enough to pay the interest on the home loan for that property, negative gearing is currently available as a tax deduction against that income. Learn about negative gearing. Offset account: A savings account linked to your loan to offset the interest charged on your loan. The money (or credit) in your account is offset daily against your loan balance, which reduces the daily mortgage interest charges. Learn about offset accounts. Pre-approval: An initial approval process where the bank provides a borrower with an estimate of how much they could borrow, based on information they have provided to the bank. Find out how to get home loan pre-approval. Redraw: A home loan feature that enables the borrower to withdraw funds they have already paid, usually this is a condition based on if they are far enough ahead on loan payments. This is not available on all loans. Learn the pros and cons of redraw facilities. 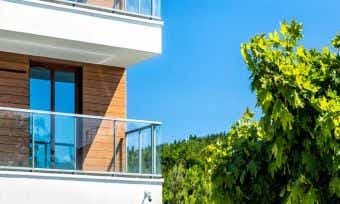 Settlement date: The date on which transfer of ownership officially takes place – the buyer pays the rest of the purchase price, and the final legal documents are exchanged. It is also usually the date on which the buyer receives the keys and assumes possession. Learn about what happens on settlement day. Split loan: A home loan in which a predetermined portion of the loan is locked in at a fixed interest rate and the rest comes with a variable rate of interest. Learn about split loans. Variable rate: A home loan interest rate that fluctuates according to the official cash rate set by the Reserve Bank of Australia. The rate can go up or down over time, varying your repayments. These loans allow for more flexibility and options. Learn about variable rate home loans.